So you are stepping into the journey of to discover your greatness. So what is greatness? How do you recognize it. How do you then honor and cultivate that experience? Notice that the title of Day 2 is Discover YOUR Greatness. It is not about achieveing greatness. The focus on achieving greatness is a first half of life focus. It is the key focus of the Western culture. There is nothing wrong with this focus provided it does not block the revelation of Greatness. List ten qualities that you associate with the invitation to greatness. I list my personal ten qualities. It may help simply to start with a list moving from A to B to C etc. Or you might find it interesting to list qualities using only one letter of the alphabet. I have done it selecting five of each. You have two minutes to do this. With some, or all of your chosen words, create a statement of intention. This is the intention to honor those qualities in you as one who is committed to becoming a Companion of Greatness. The first Key is the Key of Discernment. Learning discernment is an essential part of learning HOW TO Companion Greatness. 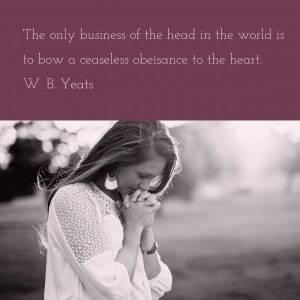 Discernment is a focus on YES. Discernment is a focus of the will in alignment with creativity. Judgement is a focus on the energy of separation which is in non-alignment with creativity. Do you resist the idea that you are born with greatness? Do you feel drawn to that idea that your Essence flows from Greatness? How easy was it for you to list the qualities of greatness? Introducting a 30 Day email course in Awakening YOUR Creativity. This is a learning program in HOW TO Companion YOUR Greatness. The daily lessons will be posted below as from 23rd March 2019. 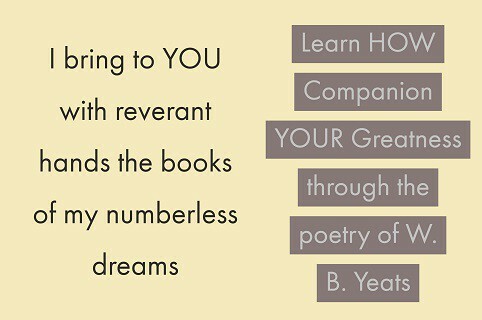 Sign up to receive updated program for Companioning YOUR Greatness and Awakening the Creative YOU.